Home How Can I Edit The SMS Notifications Template? How Can I Edit The SMS Notifications Template? The SMS notifications that you configure all use a template. Therefore you can easily change and personalize that template. You can even add more details to the SMS notifications, as this article explains. 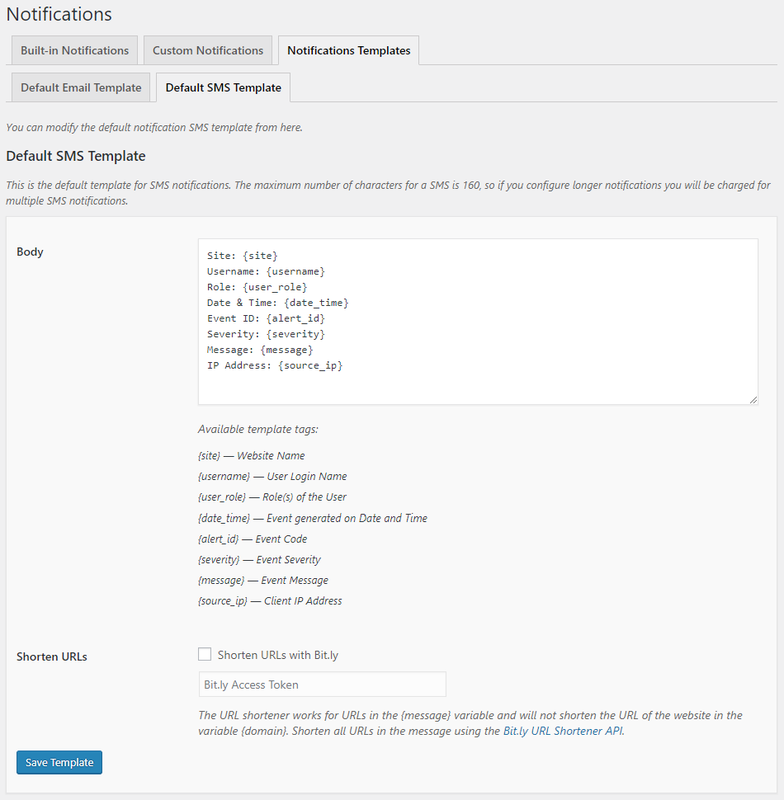 Click the Notifications entry in the Audit Log plugin menu. Click on the Notifications Template tab and the Default SMS Template tab. Use the editor to modify the template. SMS messages are limited to 160 characters. So in the default SMS template we do not include the actual message of the event. We only include the event ID and the necessary details so you can get a good idea of what is happening. However should you wish you can add more details to the SMS and use any of the available HTML tags in the message. Should you like to include the whole message you can enable the Bit.ly integration to shorten the URLs recorded in the audit log events.